Ferry Porsche with the Golf MK1 and Kdf Wagen. . HD Wallpaper and background images in the Volkswagen club tagged: photo. 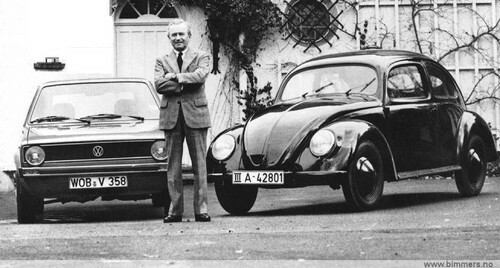 This Volkswagen photo might contain mini-voiture, minicar, hayon, portes à hayon, hatchback, porte à hayon, berline avec hayon arrière, porte de hayon, rue, scène de ville, milieu urbain, ville, scène, urbain, cadre, and mise en scène de rue.